VHAF® NottsSward® artificial turf carpet is used worldwide for sports surfaces and leisure time. This artificial turf has a range of advantages over other surfacing solutions and comes in a palette of 15 colours. Therefore they have almost an unlimited use - mainly in parks, gardens and around houses, terraces, balconies, schools, playgrounds, sports clubs, business centres, banks, and insurance companies. ChildsPlay® is a surfacing system for play and recreation designed to challenge the imagination, encourage experimentation, provide new experiences and social interaction. 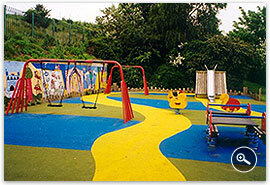 ChildsPlay® is the surfacing solution that will go wherever you want it to. 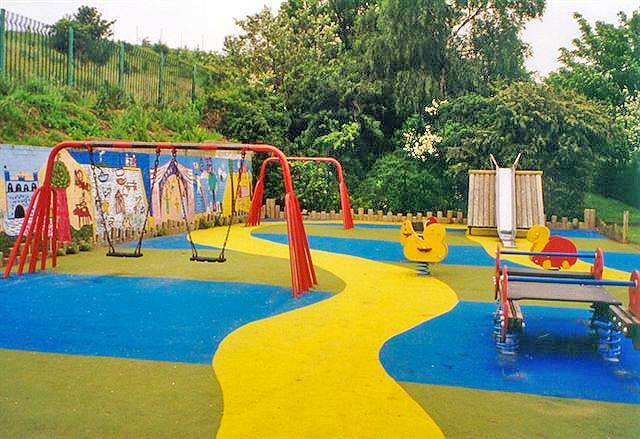 it is not just designed for under and around play equipment, to mark out games, shapes, patterns and zones but is also the solution for free play and recreation areas both on flat surfaces and over irregular mounds and slopes.